The 2008 APBA Gold Cup was called no contest due to high winds that forced an end to competition on Sunday afternoon. All images are from heat races and testing sessions. 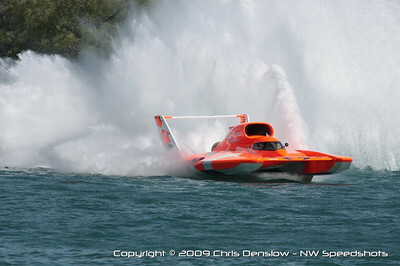 Chris Denslow’s gallery of Unlimited hydroplanes at the Gold Cup in Detroit. Chris Denslow’s gallery of the Offshore boats at the Gold Cup in Detroit.